The Family Justice Young People’s Board hosted its sixth annual Voice of the Child conference in Manchester on Tuesday 24th July, the first ever to be held outside of London. The conference was completely child-led and focused on the theme of resilience. As with previous years, four members of the FJYPB reflected on their own experiences in a session called ‘In My Shoes’; throughout the day they each discussed how their experiences made them become more resilient and how they dealt with any stressful situations. Other speakers also took to the stage. Outgoing President of the Family Justice System, Sir James Munby, delivered an impassioned speech and said the FJYPB has a “vital role” to play in the future of the family justice system and urged them to “continue fighting”. Cafcass’ CEO Anthony Douglas emphasised the importance of getting “to the heart of children’s experiences” in cases and focussing on the impact on individual children. He said the challenge now is to make the family justice process more child-led. Cafcass’ Chair Edward Timpson echoed Anthony’s thoughts and said the time had come to “create a system for children, rather than a system that children have to fit into”. He also told delegates that there was a need “to understand better the actions of children and how they deal with what life throws at them”. Tracey Baker of young victim support service, Nest Lancashire, gave a heartfelt talk about her work and shared a case study involving one of the children she helped following the Manchester terrorist attacks. Tracey stressed the importance of resilience in helping children to overcome and recover quickly from difficulties. A breakout session before lunchtime allowed delegates to take part in one of four workshops led by the FJYPB members and facilitated by professionals. One workshop on mental health and resilience invited attendees to reflect on their own approaches to becoming resilient as both a child and an adult. Other workshops focussed on resilience in both public and private law settings, and how resilience can be built up. A family justice panel was held in the afternoon with representatives from the FJYPB, Cafcass, the judiciary, the MoJ, and social services taking part. Members of the audience were invited to put questions to the panel and topics discussed included: making time spent by social care services with children worthwhile; ensuring the child’s voice is heard; and domestic abuse legislation. 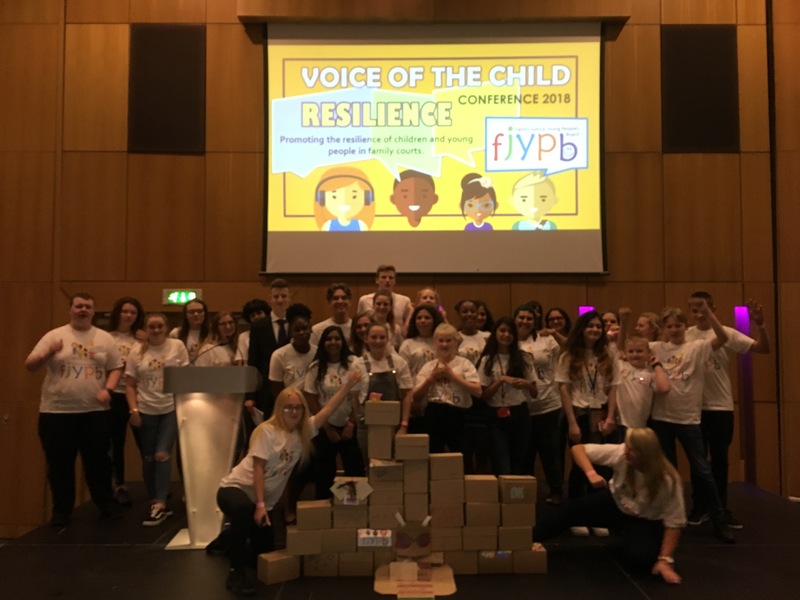 The FJYPB also outlined their priorities for the upcoming year, which include raising awareness of family breakdown on children and young people’s mental health and how professionals can support children and young people to build their resilience. They announced their latest in the series of ‘Top-Tips’ for parents, which can be downloaded here.